How much would you pay for an engine that allowed you to get 200 MPG out of a pickup/SUV and would be guarantee'd to last 300k miles? I'm not here to argue whether or not this is possible, but suppose somebody made aftermarket engines that allowed you to get 200 MPG from even full size pickup trucks and obviously much more with cars, BUT the vehicles these engines go into legally would need to be made before 1986. Would 15 thousand dollars... show more I'm not here to argue whether or not this is possible, but suppose somebody made aftermarket engines that allowed you to get 200 MPG from even full size pickup trucks and obviously much more with cars, BUT the vehicles these engines go into legally would need to be made before 1986. Would 15 thousand dollars be a reasonable price to charge? What about 20 thousand dollars? The engines would last on average 500,000 to 600,000 miles and would be guarantee'd to last 300,000 miles. I would pay around 8-10k. Maybe less. you Gotta realize everything around the engine will start to fail and need replacing. I have a maxima. Just passed 200k all I ever did to it was change the oil and tune ups. And a belt. That’s all. I don't need it at all. My wife's Prius should provide 50 mpg day in and day out for over 300K miles, and it uses fully supported technology, not a scam. See the video to understand how the real world works. No, as the time to repay that investment would be too long. I'd pay a fortune for such an engine. Guaranteed to last over 480,000 km, 85 km per litre? I wouldn't even need to know the horsepower rating, I'd pay a lot. A king's ransom, a gazillion pesos, a sh*t load of dollars, or an arm & a leg. I'd even trade a unicorn for one. And forget the pickup or SUV, I would install it in my Millennium Falcon. Because that's the only vehicle you'll ever find that kind of engine in. Putting an expensive engine into a $400 car makes it a $400 car. 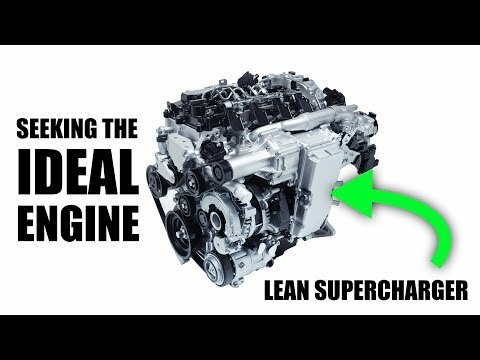 An engine like that would only go into new cars. You'd wind up with a vehicle that falls apart around the engine. You'd have to keep finding replacement vehicles to keep moving the engine in to. If the car with one of such engines in it was in a condition comparable to cars on today's market, considering they have to have been made before 1986, I do not think $15,000 would be totally unreasonable. Is this 200 mpg city miles or highway miles? I'm not here to argue whether or not this is possible, but suppose somebody made aftermarket engines that allowed you to get 200 MPG from even full size pickup trucks and obviously much more with cars, BUT the vehicles these engines go into legally would need to be made before 1986. Would 15 thousand dollars be a reasonable price to charge? What about 20 thousand dollars? The engines would last on average 500,000 to 600,000 miles and would be guarantee'd to last 300,000 miles.